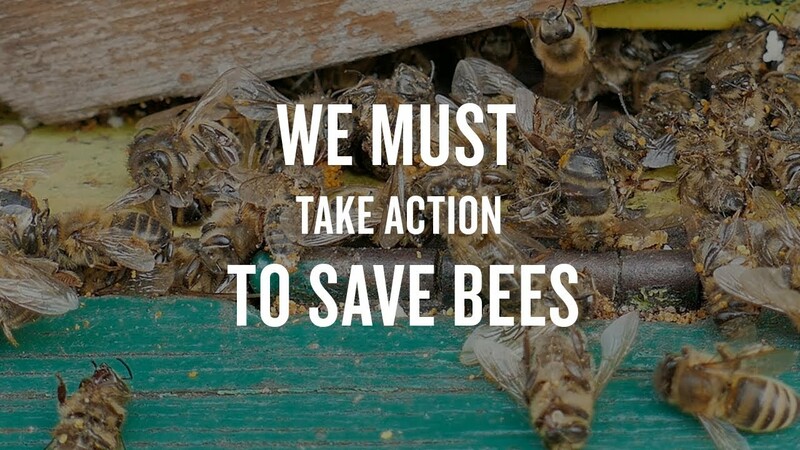 Right now, we're in a real crisis when it comes to bees. Every year, about a third of our honeybee colonies collapse. And the 4,000 native bee species in the United States suffer from those same threats that honeybees do. Those are species like bumblebees and carpenter bees and other really specialized kinds of bees. Bees are a really critical part of our food system. One out of every three bites of food we eat, every day, every week, is dependent on bees for pollination. That's a whole different range of foods, from fruits to nuts to vegetables. Things like almonds are heavily dependent on bees for pollination, tomatoes, pumpkins, blueberries. And it's not just plants. Small animals, birds depend on the fruits and seeds produced in the wild, and those fruits and seeds are dependent on bees for pollination. We think that the bee population crash is caused by several factors, including pesticides, habitat loss and disease, and those three factors really work together. Neonics are a really serious threat to bees. They're what's called a systemic pesticide, and that means it's in the pollen, it's in the nectar, it's in the leaves, and the plant itself becomes the pesticide. Now you can imagine why that's a problem for bees, because bees are visiting these plants, and they're picking up the neonics, and they're bringing them back to the hive. One of the most important things we need to do is appropriately regulate neonics. The EU just banned the three most commonly used neonics in Europe. We see Canada taking steps to cut back on neonics, and we haven't done that here in the United States. We've allowed them to be overused throughout the country. So EPA really needs to step up and to do its job. States have started to restrict neonics to make sure that we're not overusing these on golf courses, in parks, and in our backyards, and that's a really important next step. If we continue to ignore this problem, we will lose bee species in the United States.